Braving the hot Los Angeles summer sun and throngs of cosplayers, I found myself at this year's Anime Expo, a festival that celebrates all things related to anime. 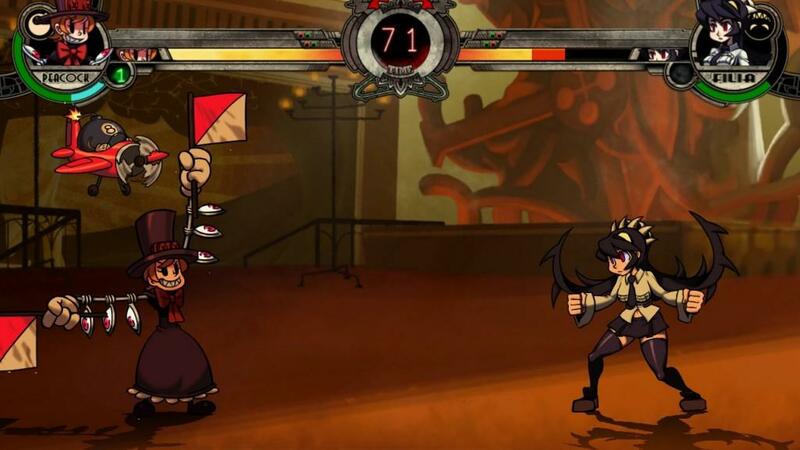 So it's no surprise that I would find Autumn Games and Reverge Labs on hand to show off their PSN/XBLA fighter, Skullgirls. Early reveals of the game have shown that the game has a distinct art style, and unique characters provided by art director Alex Ahad. The build on hand only had three playable characters, but the amount of depth present in those three characters alone shows that the team at Reverge knows exactly how to build a better fighting game. And really, this is what happens when you have fighting game fans building a their own fighting game and cherry-picking some of the best aspects of fighters released in the last decade. 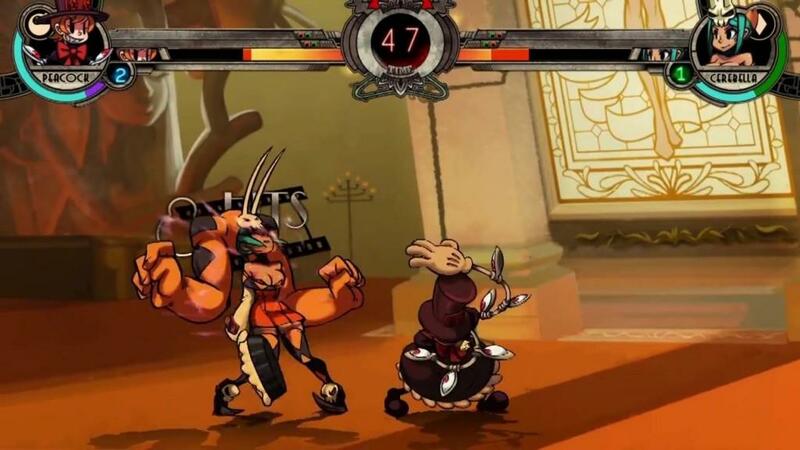 After just a few matches I'm ready to claim that Skullgirls is on track to replace Street Fighter 4 as my game of choice when I need to take it to fisticuffs. 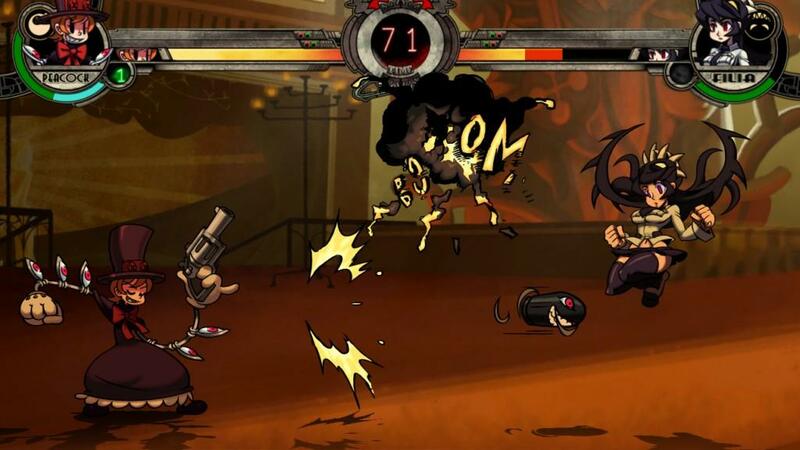 The playable characters on hand included Filia with her parasitic hairpiece Samson (appropriate name choice? I think so), who's got a penchant for rush-downs and cross-ups. First impressions leave me feeling like she's got moves inspired by Milia Rage from Guilty Gear and Morrigan from Darkstalkers. Then you've got Cerebella and Vice-Versa, a powerful combo that will remind players of Zangief from Street Fighters and Potemkin from Guilty Gear; she specializes in grabs and slow lumbering attacks that dish out a great deal of damage. Last up is a new character recently unveiled, known as Peacock. Immediately people are going to draw comparisons to characters from old time cartoons, and they aren't too far off. Everything about Peacock screams Steamboat Willy with a touch of madness from Animaniacs. 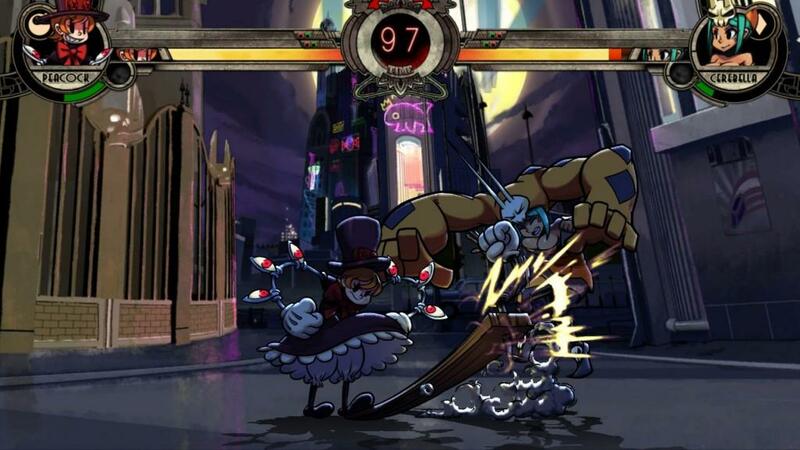 As for how she plays, Peacock is accustomed to zoning, keeping enemies at bay and making it generally difficult for them to get in. Her move set is hard to peg down, but you can feel inspirations from Hsien-ko from Darkstalkers and Strider from Marvel vs Capcom 2. What's most interesting about her are all of her nods to other video game characters. For example her gun attack, performed with a typical fireball motion, will cause a sword to appear when using medium punch. This sword can look like Sol Badguy's weapon from Guilty Gear, or even Final Fantasy 7's distinct Buster Sword. Gameplay feels like a great big mash-up of some of the best features in fighting games. You've got the tagging system present from the Marvel vs Capcom games, along with the Delayed Hyper Combo mechanics, allowing for tag-outs in the middle of super moves. Then there is the character ratio system from Capcom vs SNK 2, allowing you to have up to three weaker characters to give yourself some variety, or one really powerful character, which really shows if you're just using Cerebella. She can decimate an opposing team with just a few attacks. The core gameplay feels immediately similar to Darkstalkers, which is great because fans have been clamoring for a new entry in the series for years. 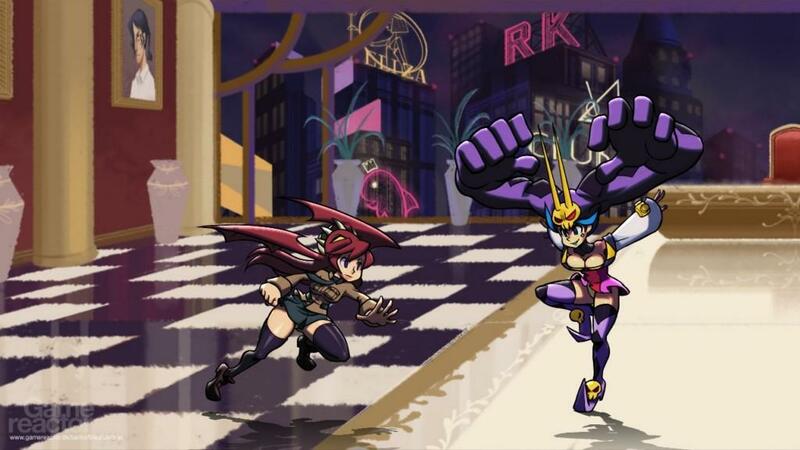 Skullgirls will easily fill that void. With a free-form combo system that encourages experimentation, you'll be surprised at what can be made to work. 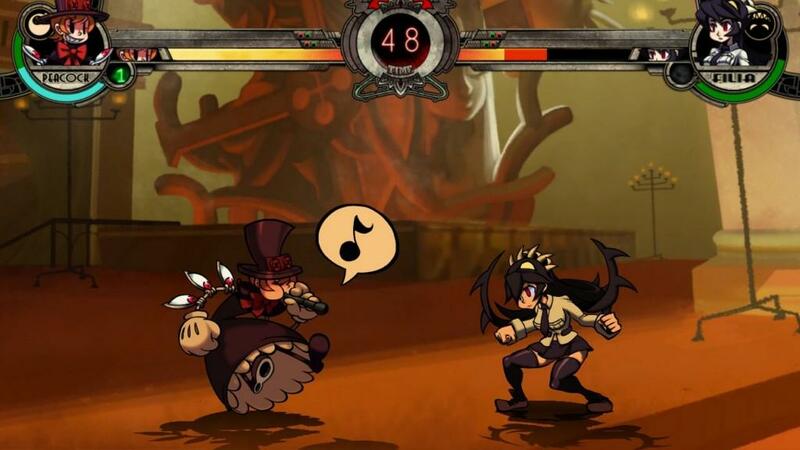 For example, I managed to pull a DHC from Peacock's laser beam super in to Filia's dash super which then lead to a ground bounce in to an aerial combo attack, drawing impressed reactions from the growing crowd. Sure it was flashy and an absolutely waste of meter, but it was fun as hell to experiment to see if it would work. And if my incredibly rookie skills can pull that off, I can only imagine what top tier play will look like. 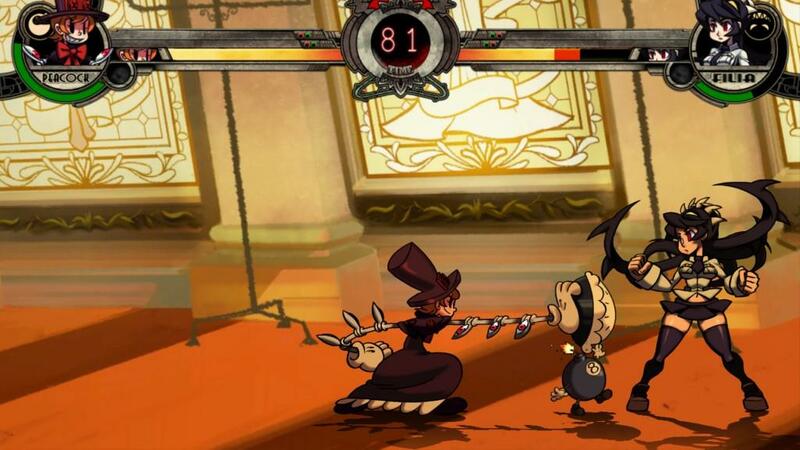 In a bid to prevent infinite combo attacks, Skullgirls has a combo-breaker mechanic that will allow users to break free of infinite loops. 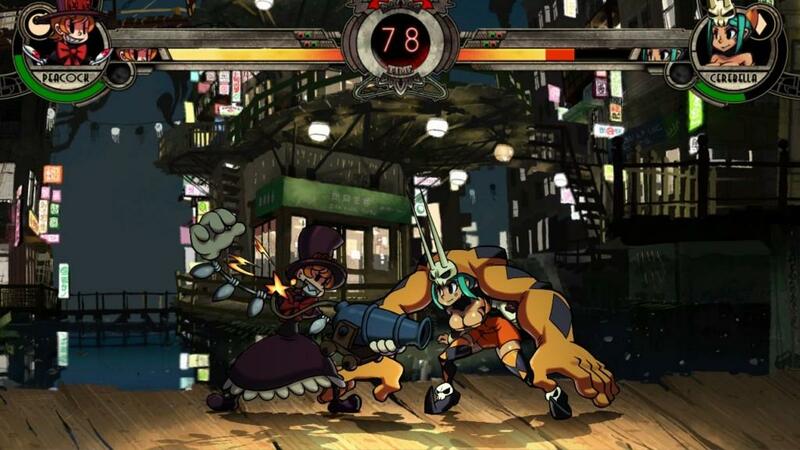 For having only three characters available, there is an immense amount of promise in this early build of Skullgirls. What's even more impressive is how great the game looks. Videos posted online don't really do this game any justice, you just have to see it in all its sixty frames per second glory to really understand the amount of work that's going in to this game. You can tell they are going all out for the sound department as well, with a soundtrack crafted by the amazingly talented Michiru Yamane of Castlevania fame. Even the voice acting is receiving a boost from some of the best in the business with Christina Vee confirmed to be the voice of Cerebella. Reverge Labs obviously has the chops to produce what looks to end up as one of the best fighting games of the year. With a release date planned for later this year, they'll be revealing more of the roster at future events like EVO in Las Vegas at the end of July. We'll definitely be keeping our eyes out for what looks to be one of the most entertaining and visually unique fighters to come out in some time. Note: This preview took place at Anime Expo, an event sponsored by the Society for the Promotion of Japanese Animation (SPJA) who offered a complimentary pass to this event.